First thing to do is pick a #1-10 as to your emotional response within, when you think of yourself becoming a millionaire. There are many layers of emotions & beliefs that will come up & we want to tap them all down to 0 (zero). It's all about giving, you must BE the giver. Even though I give so much to others, sometimes neglecting my own family & myself, I still experience a lack of abundance. I deeply & completely love, accept & forgive myself. Tap 3 times on karate chop pt. while saying phrases out loud. Tap thru the points stating this mantra at every spot. I Am abundant in every good way. Infinite money is mine to earn, save, invest, exponentially multiply & share. My abundance is making everyone better off. I embrace abundance & abundance embraces me. What do I have to give? you may ask........... Give your time, your approval, your smile, your advice, your wisdom, your compliments, your sense of humor, your talent, your attention, your encouragement, your love. All these things will flow back to you in abundance. The spiritual dimension expands, multiplies & adds value to all that is given. Giving taps into the spiritual dimension that multiplies us, our thinking, and our results. The Enlightened Millionaire knows this. There is an ocean of abundance, & one can tap into it with a teaspoon, a bucket or a tractor. The ocean doesn't care. Notice your positive cheerleading internal voice right now, Where is it? Is it loud or is it soft? Imagine there is a sound dial that controls the volume of your internal dialog. Turn up the volume of your positive voice. How does that make you feel? Try finding a volume level that motivates you. ....that encourages you to be your best.Now, notice your negative inner voice. Where is it? Whenever you notice the Yabut's taking control, just turn down the volume & notice how that makes you feel. Every time they come up.... Even though my inner voice is giving me all kinds of excuses & negative thought forms that cause me to shrink & pull myself back from doing what I set out to do, I deeply, completely, love, accept & forgive myself. Even though I have all these yabuts, I am willing to let them go back to the nothingness in which they came right now. I deeply, completely, love, accept & forgive myself. I'll find out how to get connected. I'll start right now with what I have. I'm smart enough to figure this out. I CAN afford it if I really want it. Do I really want to be successful? Do I really want to succeed more than my family has? Do I really want to possibly be in the limelight? I now release the unworthiness, the judgement, the lack of faith that all will be wonderful, is wonderful already. I completely love myself even though this feeling in my gut came up. It came up to be released & I choose to let it go. We have our assets & liabilities which can cause us to feel down .... you can tap that away. Even though I feel uncomfortable when it comes to my assets & liabilities, i know I will change that & choose to create the life of my dreams. I deeply completely, love, accept & forgive all aspects of myself that I am judging. Even though I Am creative, sometimes I find myself angry which takes away from my creativity...I deeply, completely, Love, Accept & Forgive myself. 3 resources that you need. A commitment to do it. TAKE COMMITTED ACTIONS! Every resource I need (tangible or intangible) is possessed by someone, somewhere at this very moment. How can I find these individuals and persuade them to provide me with these resources? This specific design in its horizontal position represents the Universal Law of Free Will. No one shall control another's physical, mental, emotional, sexual or spiritual essence. The repercussions of this violation result in decades and centuries of misplaced balance that affects the harmony of the universe and generates reincarnated souls that need to correct karma, which is needed for the continued existence of humankind. All philosophical and spiritual people may have many translations of this symbol according to their mental growth, but the result of each message will remain the same. "Every being of Mother Earth has this right and responsibility of Free Will & choice. Within the very DNA is this Breath of Life. Thus, inner ways show themselves through the practice of Free Will. The Creator has decreed and put forth through thought and heart that every being is protected by Cosmic Law. The Cosmic Law has many names and many forms. It is the Circle. The Circle is that which you put out, it is that which comes to you. Choose with your will what you want through the heart. Then create with the tools of your mind. The strongest way to get what your heart desires is to respect one another. Feel first, then act. Reflect in the mirror of self and in the mirror of life. Free Will is the freedom of all things moving together in harmony, one giving away to another. Respect the whole harmony of life. This is the key to delving within what is known as Free Will. Free Will is in the group, the circle. Free Will is in the individual surrendering to the greater Beauty, in surrendering, discovering who he or she truly is. Free Will is not going out doing anything you wish to do. Free Will is feeling within and acting from a place of respect, peace and beauty. The Grandfather's ask everyone to know their heart, to find and to feel that which is the Center of Life. Invoking the freedom ray ~ "Open your hearts and your crowns, allow that Wisdom which is there to unfold. Each and every being that comes to Mother Earth comes with a great mastery of what it means to be free." "Be creative. Express your own freedom. Explore. This is the purpose of this Law. the freedom to be, to explore, to live, to create with the Universe." Tap on transformation, peacefulness & coexistence with all life. Open yourself to the vibration of freedom by reconnecting to a Great Family of Light. Free yourself to remember. Flow with the energy. Desiring good for all. This vibration is Violet color, known as Mercy, Ascension. Unfolding a plan that you have already prepared for yourself. Go with honor for all life. Tap on being judgement free. Even though I am judging _____ I choose to allow & respect where that person is at & let go of the energy that I have attached to which keeps me judging this situation/person/etc...I deeply completely love, forgive & accept myself & all others. Tap on forgiveness. Even though I haven't fully forgiven _____ for the way they treated me, I choose to forgive them now & allow my freedom to take over. I deeply completely, love, forgive & accept myself. Tap thru points... I choose freedom, I choose forgiveness, I choose acceptance, I choose love, I choose respect, I choose free will, I choose to forgive myself for judging myself. I choose ultimate freedom! As you drift off to sleep every night, imagine your dream vividly! Think from your future dream home! Imagine walking in the front door of your dream home. What do you see? What do you hear? What can you taste? How does it feel to have acquired this home? What are you saying to yourself? Actually experience living there. Are there any negative thought form patterns that are surfacing to be tapped away? Time - I Am happy & grateful that I Am in a routine schedule keeping my business organized & active. People - I Am happy & grateful that I talk to at least 5 people a day re water, I connect with my kids thru text or phone conversation, & send cards to them when I can't be with them. Money - I Am happy & grateful that I have $100,000.00 income this yr & a lot of time off. I Am happy & grateful for my outstanding team! Okay here's the big question regarding money....What do you want to do? What is your passion? What makes your heart sing? What makes you feel like you have a life of purpose? What activities give me satisfaction? What do I get complimented on? Where have I excelled in the past? Where have I been successful? What would I do if I were wealthy? What won't I stand for? What would I risk my life for? What is my unique mission in life? What are my unique opportunities? Which items on your list make your emotions sing? A 10? 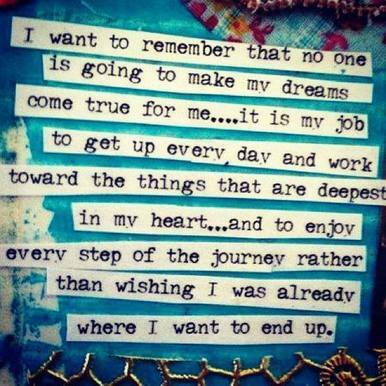 Action steps ~ Do what you love. Add enormous value. Leverage it. Project the best positive outcome. "They probably need what I'm selling right now. This just might be the answer they have been looking for." Desire, you have to want it. Belief, you have to believe you can make money, lot's of it. Self-Acceptance, you have to believe that you deserve to be wealthy. If you aren't in alignment with any of these, than it won't happen....tap all blocks away!!!! Be in Alignment! Every part of you must buy in! Your heart, your mind, & your Spirit. Commitment is the spark that ignites the fire! Even though I have commitment issues due to wanting to stay open for whatever may happen aligned with my heart's desires. I do know I need to commit to the process so I will be in the flow. I deeply & completely love, accept & forgive myself anyways. Even though I may not feel or act bold at times, it doesn't mean I do not want to succeed! I deeply & completely, love, accept & forgive myself anyways. Tap thru points... I Am committed! I Am ready! I Am Bold! I Am Congruent! I Am committed! I Am Bold! I Am Succeedng! I have a millionaires mind! When you reach a certain level of commitment, the intensity pf your vibrations increases. Your Spirit, your Soul, your Life Force - or whatever you want to call it - begins to oscillate at a higher frequency. These vibrations, like invisible radio signals, are picked up unconsciously by everyone you meet. The message is subtle but clear - I Am Committed! Donating 10%....of all the money you make off the top.....or your time is money also...do what resonates with you. Your vision must dominate your thoughts. I Am smart enough. Wise enough. Clever enough. Resourceful enough. Able enough. Confident enough. I am connected to enough people to accomplish my heart's desires. I have enough idea's to pull off magic and miracles. Enough is all I need. Enough is what I have. I have more than enough. As I do all that I can do, I'm able to do more and more. I am excited to be alive. I rejoice and re-choice every day to make my life better. I am happy, healthy, prosperous, successful, rich, loving, loved, and beloved. I am comfortable with myself, so I am comfortable with all others. I confidently greet each day with a smile on my face and love in my heart. Everyone who meets me is warmed by the radiance of my attitude. I work on my attitude continuously. I read positive, inspiring, and uplifting books. I listen to audio tapes and CD's during my driving and exercise time. I associate with friendly, caring, nurturing people who are involved doing important things. The people with whom I associate with want more for me than I want for myself. The projects with which I am involved WOW my soul. I am passionately on-purpose to do good, be good, and help others do the same. I am enough, I have enough, I do enough. Ease & speed are the new currencies of business. Other people's money, other people's experience, other people's ideas, other people's time, other people's work. There is no synergy on your own. It takes at least two. When I am ready, they suddenly appear. My mentors offer to mentor me and guide me to the success I desire. My mentors enjoy sharing with me their most important success secrets. I feel confident in asking my mentors for advice. My mentors intuitively know how to help me make the most important breakthroughs. I am able to glean from the relationship with my mentors exactly what I need to launch me toward the goals that I seek. My mentors enjoy the relationship with me. It's exciting to be with individuals who possess the truth that I am seeking. My mentors willingly share, encourage, and coach me to experience and express my full genius, abilities, talents, and resources. They see more in me than I see in myself. Their gentle, sequential guidance makes all the difference to my accomplishments. My mentors know how to bring out the best in me. I study them up close and personal --- if possible. I cheerfully apprentice and pay my dues to my "masters", as they did with their "masters". I read, study, and apply all that they have written and that they recommend. I meet all my mentor's friends, colleagues, and loved ones and make them part of my ever-growing million-dollar Rolodex. My life is made infinitely more meaningful with a mentor-teacher who wants to be in service to my greater growth and development. I catch my mentor's passion for life and living fully and richly. I realize no one has ever achieved greatness who did not have mentors. I am willing to have great and inspiring mentors throughout my life. I am learning from my mentors how to be a mentor myself. I am prepared to mentor others when the opportunity presents itself. & I deeply & completely love, accept & forgive myself. Every successful person has mentors. Mentoring is powerful form of leverage. Mentors don't need to be people. Constantly seek out mentoring relationships. Assemble a team of your favorite heroes and sheroes, present and past. Set a goal to search out at least one millionaire a month. The best kind of mentor is a transformational mentor. Something magical happens when 2 or more people combine their single dream to form a 'Dream Team'. Analyzers - believe that slow and steady wins the race. suspicious of new ideas, believe in tradition, proven solutions, and not doing anything risky, they are good at pointing out problems and seeing around corners to know what might go wrong. they allow the team to simulate most failure at the concept stage, thus saving time and money. Networking ~ create a list of the 200 people you want to meet, study, grow with, talk to, spend time with, and imitate until you can emulate, match, and surpass. Choose to make yourself well known! Start at once whether you are ready or not! Set a goal to build your 'rolodex' working on it weekly, if not daily. At least one name of someone you want to work with, grow with & get rich with. Stay in touch at least twice a year by e-mail blast, phone call, letter or face to face. Rate each person with a letter from A to D.
A's are those with the largest databases and the greatest potential for opportunity. Spend the most time cultivating your relationships with A's. Narrow your list to your 100 eagles, your A's. One of the highest forms of marketing leverage is to contact the owner of a large database and have him or her agree to endorse your product or service to the entire database. I think like a millionaire, I talk like a millionaire, I walk like a millionaire, I believe, feel and act like a millionaire. Like a radio that's turned to one frequency, I am turned to the millionaire's frequency. I continually condition my mind to think rich, abundant, prosperous thoughts. I talk about the endless possibilities to all who will listen. I read what millionaires read. I soak up biographies and autobiographies of millionaires and billionaires. I drink in their wisdom, insights, and deep understandings. I think about creating valuable million-dollar business enterprises during the day. I dream about them at night. I enjoy creating million-dollar enterprises. I am creating multiple millions --- honestly, ethically, and morally. I am a wise steward over my money. I master my money. My money does not master me. I love to serve. I realize that it is the quantity and quality of my services rendered with a positive mental attitude that grants me unlimited, overflowing, ever-flowing compensation. I am constantly rendering increasingly better service. The better I serve, the more I make. I love challenges. I conquer my wealth-building mountains with glee and joy in my heart. There is a banquet of prosperity ready and waiting for each of us, I cheerfully help others on their journey to wealth, riches, and true spiritual abundance. Being a millionaire means I live the abundant, balanced life -- growing, serving, sharing. It's great to be a millionaire. Pay attention to what your inner voice is saying as you tap thru this & make notes as to what blocks come up to tap away. Once you create a network, do whatever it takes to maintain it. Be very quick to build connections and extremely slow to break them. There is a spiritual dimension to wealth, the Infinite Network. Embracing the spiritual component of wealth and recognizing the existence of the Infinite Network is the single most important and most powerful form of leverage. With your mentor, team, and network in place, your power is greatly multiplied and your Infinite Network comes into serious play. You have witnessed its presence and superlative results, though it was not previously named or popularized. The Spiritual Internet kicks in when a team has a big purposeful dream and everyone stays positive about its accomplishment. In this life, there are givers and takers. Giving is my way of life. I give away my ideas to great causes that I care deeply about. I give money where it is needed, is wanted, and can do enormous amounts of good. My giving always creates more. I inspire others to give and like doing it. It is my subtle mission to give and motivate other rich people to give so that human dignity is re-created on Spaceship Earth. It is the way that I now understand is the truth of the Universe. Giving multiplies me and makes me feel complete and fulfilled. Giving makes me feel that I make a real and important difference. Giving is one of the main reasons that I enjoy being a millionaire. Embrace the spiritual side of wealth. The unseen world is the source infinite abundance. Integrity is key to tap into the infinitely abundant Infinite Network. Tithing works. 10% off the top. Acknowledging the spiritual dimension makes your life far less stressful. Tools ~ ask the right questions: You do want to be a millionaire, don't you? It subtly stimulates the listener to agreement. According to Marshall Thurber: 3 secrets to persuasion are brightness, darkness, and frequency. Paint bright word pictures that describe the positive, exciting future that awaits if a person follow your recommended course of action. Paint dark word pictures that describe the gloomy and frightening future that awaits if a person doesn't follow your recommendations. You then repeat the message (like advertising does--again and again) until your audience gets it and automatically does what you have suggested. You can learn to persuade. You can learn to sculpt your words and phrases into masterpieces that evoke the response you want. Effective listening is a rare skill. Listen with your outer and inner ear to discover what people truly want. To do business with billion-dollar entrepreneurial companies primed to global I said, "If we could help you make that happen, would you meet with us when we are next in New York?" We did, and our power breakfast was vastly successful. Every 'negotiation' is an act of creation coming from the Sea of Abundance. Focus on the critical few. - 85% of the things you do account only for 15% of your results. Throw away your "to-do" list. - Create a 85/15 list. Write the top-priority items at the top in the 15% box, write the lower-priority items at the bottom. Only work on the top of your list. Reward yourself for doing the right things. - The things that get rewarded get done. Reward yourself & you will get more of them done. Do your Feared Things First. - Ask, what's my fear today? Start your day with that activity. Do a daily power hour. - take a few minutes every day for planning. Exercise - helps you work harder, longer and think more clearly. Layer your activities. - do 2 things at once. Write out your goals daily. Just say NO. - don't let other people dump their 'monkeys' on you. The importance of having multiple streams of income. The power of residual income. Remember to take note of any 'against' that comes up to tap out. I attract multiple sources of income. than one source of income. I choose a new and wiser financial path. It is called the wisdom of Multiple Sources of Income. My first stream of income is my PSI, my primary source of income. I focus on my PSI until it is stable and almost permanent. I treat my PSI with respect, love, care, and delight. Then, I add new MSIs--one at a time. Each MSI is a joy to my heart. I create them in my mind. Because I seek them, i find them--find so many MSIs that I have to prioritize them. I schedule the launch of each MSI sequentially after writing a "wow" of a business plan. I involve my dream team to help me pull together the resources to create a successful MSI. Multiple Sources of Income are pouring into my life, and from all over the world. I am under the spout where all the good things pour out. possible to do so in a year or less! Dream ~ A clear vision and a definite "Why"
Theme ~ A million-dollar product, service, or idea. Incubate an idea, what do people want right around you? Is there a need in your own neighborhood? Do you know someone who has a wonderful idea & isn't executing it? Imagine what it would be like to own your own multmillion-dollar business! Tap on all the But's & Can'ts that are coming into your consciousness, & turn them around to Can's & Yes's to choose to do it opening your mind to the universal flow of idea's pursuit's & all possibilities. It's not a number's game, it's an ENERGY game. "May the Freedom Ray, the Flames of Mercy, the Wisdom of this Peaceful Law of Great Fiery Vibration bless each and every one, bless Mother Earth, and Bless your Solar Family." "Know that soon things will shift and you will See and Hear and Know and Feel." ~ "We of the Great Karmic Board, this Council of Seven, with Great Love in our Beings are with you now and forever." "I so enjoy who you are. I delight in your mystery, I share in your pain, I am awakened in your desires. I am for you. I am present in your fears and your desires. At times your fear of change and loss is greater then the desire to create your wonder. In these moments I allow you to experience what you have chosen. However, I would love to share with you a truth: that there is absolutely nothing to fear. Nothing. I am with you. I am in you. I am for you. Go ahead and stand in the truth of your desires, I am already there. Your desires are the gateway into the reality of who you are. Trust me. Trust your desires. There is nothing to fear. 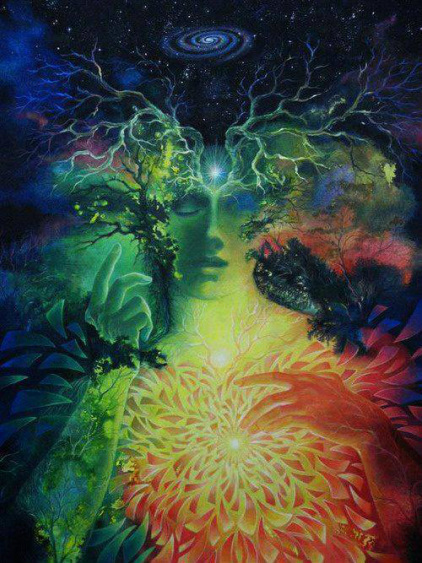 * becoming consciously one with your soul is an ever so empowering feeling, being able to feel your soul brings life to a whole other experience! Happy to be able to assist you with this experience if you would like. Just let me know. Than record it into a device such as your cell phone or mp3 player so you can listen to it daily. Include Day 4's exercise in it. The clarity of your goals & put into 'I Am' statements. Make this recording at least 3 minutes long. Play this at least once, preferably 3 times a day, including right before you go to sleep.